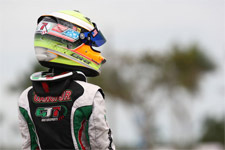 After a huge season in 2014, where up-and-coming driver Dylan Tavella earned two United States Pro Kart Series championships, his second consecutive US Rotax championship, and the Rotax Challenge of the Americas Mini MAX title, Tavella would be back in action the past two weekends to start his 2015 campaign. 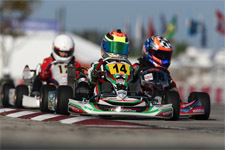 Taking to the Homestead Karting complex on the grounds of the Homestead-Miami Speedway, the Massapequa, New York resident competed in both the Florida Winter Tour (FWT) ROK Cup USA and Rotax MAX Challenge programs to get his season underway. 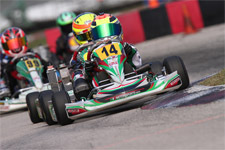 Making his debut in the junior karting ranks, Tavella would take on a massive 30-kart field in Junior ROK to start his 2015 Cold Stone Florida Winter Tour. Clocking a respectable P14 in qualifying for round one, trouble would ensue in the prefinal as he fell toward the tail of the field. Making up some ground and using his skills and talent, Tavella worked back up to his qualifying position of 14th after the 18-lap final. Qualifying for round two of ROK action again saw Tavella mid-pack in 17th. Battling against some of the top talent from around the world, the young gun posted two top-ten results in both the prefinal and final to end his opening weekend of FWT action. 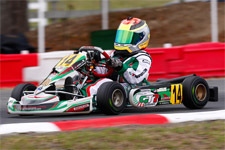 Back on track the very next weekend, Tavella switched to his Rotax package with hopes of continuing his reign in the Mini MAX class. Taking on two qualifying sessions on Friday, which set the grids for Saturday and Sunday’s wheel-to-wheel action, Tavella clocked P4 in both. 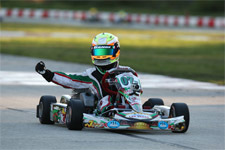 Dropping to 11th in Saturday’s round one prefinal, the two-time US Rotax National Champion rebounded to finish eighth in the day’s final. Bettering his results on Sunday, Tavella was able to end his Rotax weekend in Homestead with a second place podium result after a hard-fought battle in the final. 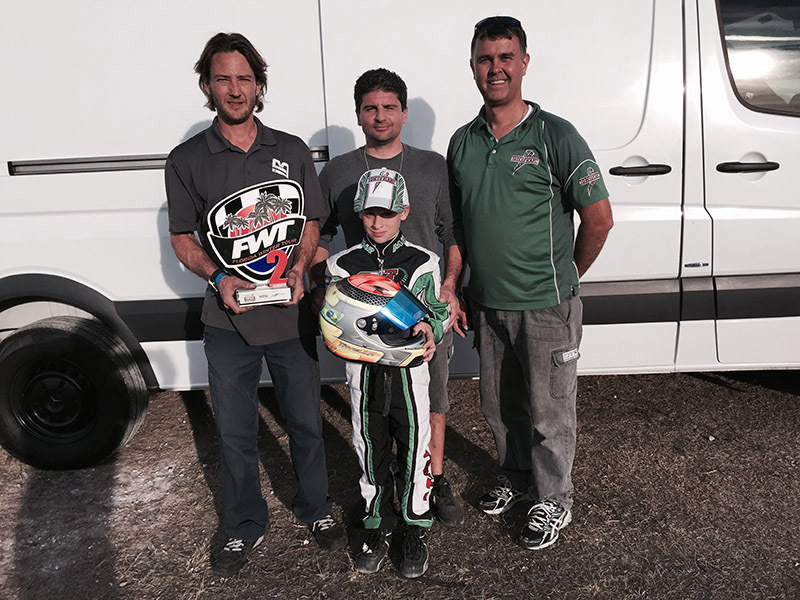 With the opening rounds of the 2015 Florida Winter Tour complete, Tavella will next head to the Orlando Kart Center for the second stop of the tour February 21-22 for ROK and February 27-March 1 for Rotax. Tavella will also be featured in the new reality TV series KART LIFE, which premieres tonight, Wednesday, January 28 at 10/9c on truTV. 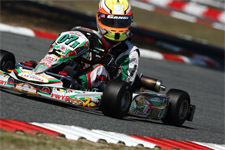 Dylan is also pleased to announce two new sponsors, Anti3 Protect Series and Verde Speed Resources. He would like to extend a thank you to all his sponsors: Anti3 Protect Series, Verde Speed Resources, Philip Joseph Jewelers, Argyle Jewelers, GT7 Motorsports, Diversified Private Wealth, Oakland Valley Race Park, Iron Rock Motorsport, and A.G.C Machine Corp, as well as a special thank you to Charlie Swayne and Tiffin Willareth for all their help at both event weekends.